2016 has been a year of flux for the MENA landscape. From influencers growing their followers, to long established radio stations and print publications sadly closing their doors and the likes of Expo 2020 live streaming its logo launch onto the Burj Khalifa, it’s been an interesting year. Here are a few predictions for next year. One clear shift we have experienced is that there is less reliance on press release content. Whilst the press release will always have its place, we see that there is more reliance on rich media content. Video, for example, reigns high. Whether this is short 60 second content for social media, a video news release to support a news story, or a 360 degrees video, more and more brands are recognising the role video plays in creating a compelling narrative. Much of the skill is in the edit. So whilst a videographer can be on site at an event, more often than not, for a news event there is a need to act with a sense of urgency to deliver the end content to the media. In 2017, the onsite edit will be key – as in the race to get content to the media, we are naturally competing against people filming videos on their smartphones. With a community of 1bn, there’s little doubt that Facebook Live has become one of the major talking points in 2016. Over the next 12 months, we predict that more and more media will become savvy to the huge potential that exists through Facebook Live. Media such as the FT, Wall Street Journal and BBC regularly deliver Facebook Lives. Locally in the region, there has yet to be a major uptake of this by media but Gulf News often streams live, flying the flag for this content. Engaging with their community creates further advocacy and helps them grow organically, with reports from live events, announcements and features. In the region, we predict that 2017 will see more brands and harnessing the benefits it brings as PR tool to reach an already engaged community. With more and more brands having to justify a clear ROI, 2017 is likely to see marketing professionals become even savvier about where they spend their next dirham. As PR professionals operating in a competitive marketplace, going above and beyond, challenging the norm and exciting their clients will be key in 2017. 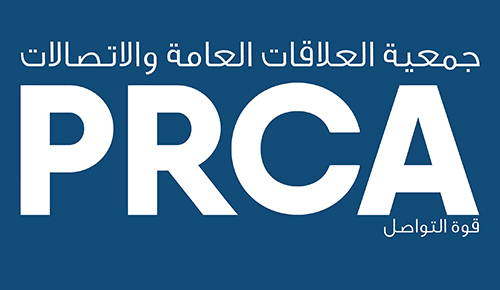 For the MENA region to close the gap on more mature markets, in 2017 the PR industry must continue to be restless in its pursuit of being the best storytellers to deliver the most exciting campaigns. Every agency should put as much effort into their next idea as they do into anything else. Regular brainstorms, and utilising all resource and partners of the agency to come up with new ideas with a fresh set of eyes will continue to be key. Seeking to engage and provide proactive fresh ideas on a constant drip feed will continue to underline the agency’s importance and ability to be at the forefront of the game. Will continue to remain curators of commercialized online content. Brands will continue to see the benefit of engaging with influencers. The word of caution will be, as consumers become more savvy, there will be a need to ensure all content is kept in line with the influencers own personal style so it is more effective and engaging for the community that buys into and trusts that influencer.